I did it! I passed my Part 107 Certification test! And on the first try too! I can finally fly my DJI Spark commercially! Alright Devon, so how did you do it? 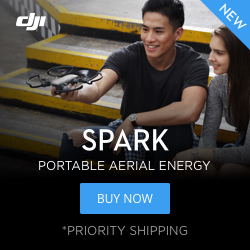 It looks hard, complicated, and like nothing relates to actually flying a drone or quadcopter. Well, unfortunately, you are kind of right. There is a lot on the test that just simply does not transfer over to flying a drone. That’s just the way it is. Here’s a couple tips I learned during the process. Enjoy flying a drone and aviation and maps and the weather? Take this test! You’ll love it. Take the time to do the practice test, these questions are very similar if not the same as the actual test. It will at least give you and idea of what’s on there. Make sure you are ready for the test. The test is $150. If you’re just flying a drone for a hobby and you’re not taking this test seriously, it might be a big waste of money. Make sure you at least watch through the video below and prep a little. Tony Northrup is a photographer who has a ton of amazing videos and guides on that, but decided to learn and embrace drones. So I feel like his video was not only one of the most informative but he also goes in with the mindset of a photographer rather than a pilot. He explains things in a way that’s easy to understand. Make sure you watch this video before you take the test. WATCH THE WHOLE THING. If you have any other questions about the drone setup I use, the Part 107 Certification test, or even which drone you should get, hit me up on any of my social media and I’d be happy to help out!